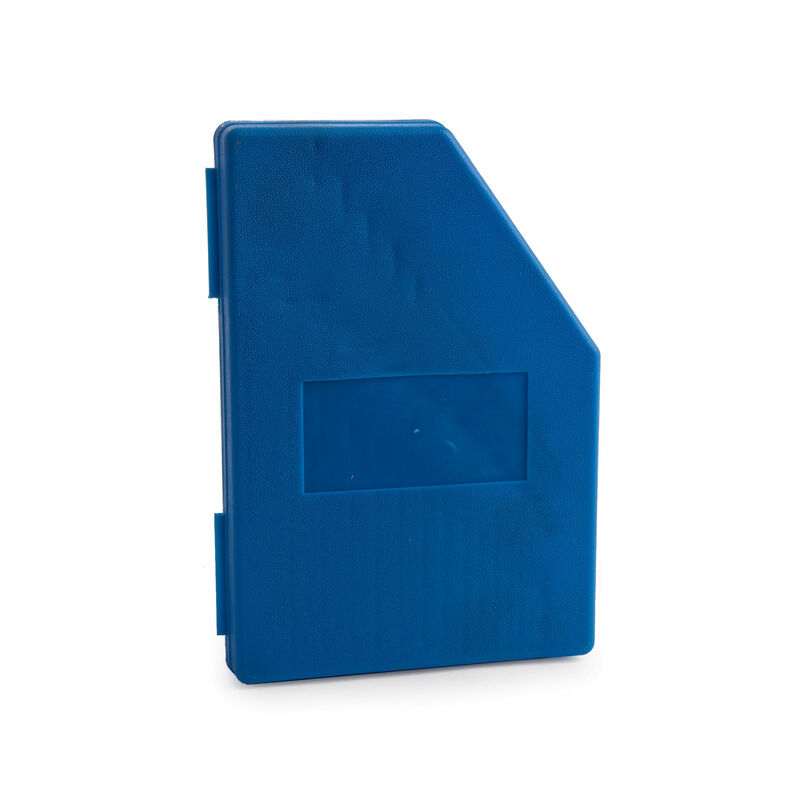 Sizes: Metric hex keys: 0.7, 0.9, 1.3, 1.5, 2, 2.5, 3, 4, 4.5, 5, 5.5, 6, 7, 8 & 10mm. 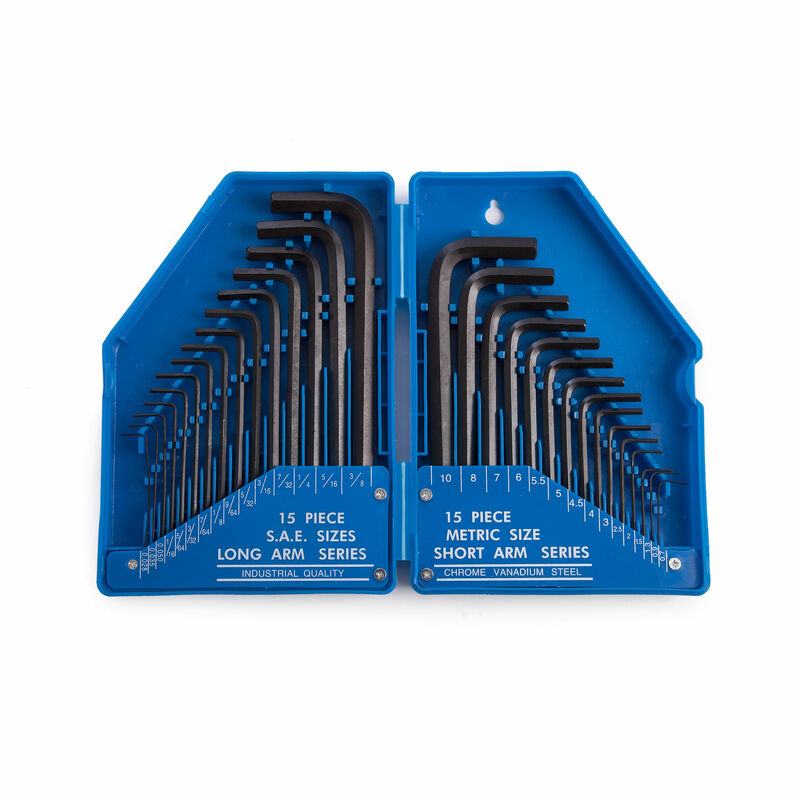 Imperial hex keys: 0.028", 0.035", 0.050", 1/16", 5/64", 3/32", 7/64", 1/8", 9/64", 5/32", 3/16", 7/32", 1/4", 5/16" & 3/8". 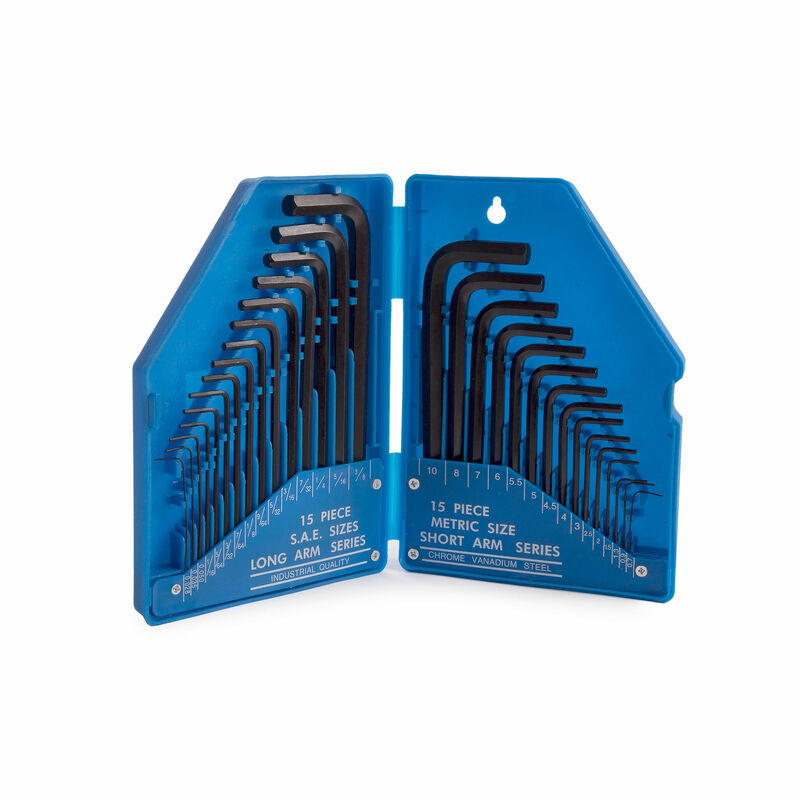 The 15320 from BlueSpot is a 30 piece metric and imperial chrome vanadium hex key set is produced from chrome vanadium steel for enhanced durability. 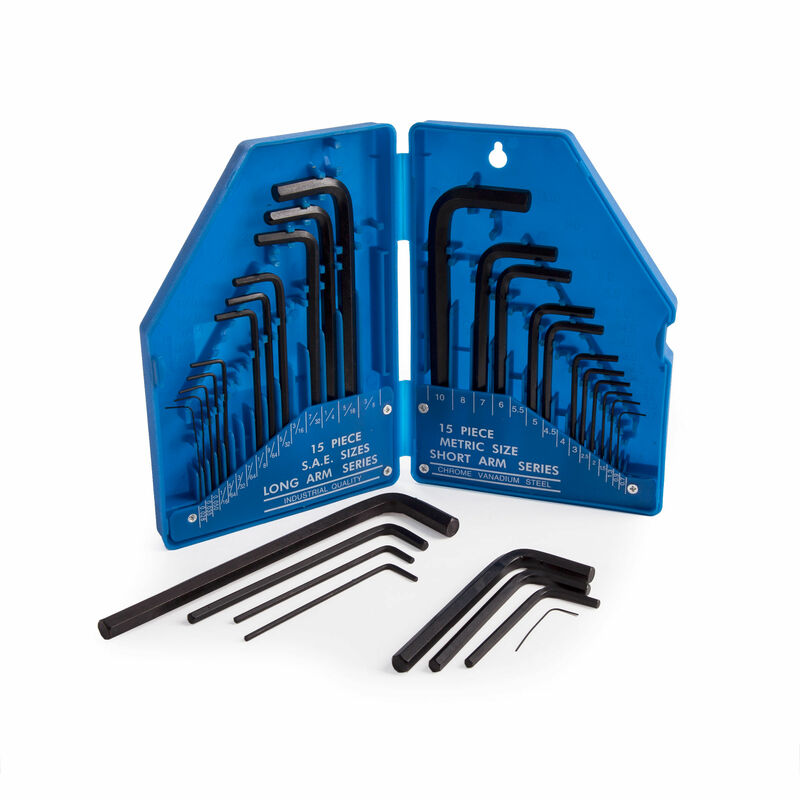 Imperial hex keys: 0.028", 0.035", 0.050", 1/16", 5/64", 3/32", 7/64", 1/8", 9/64", 5/32", 3/16", 7/32", 1/4", 5/16" & 3/8".